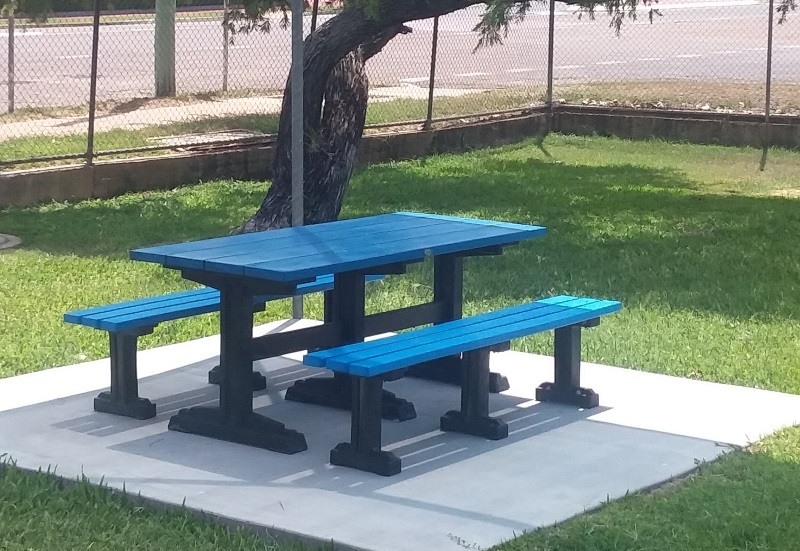 Having been a regular purchaser of Replas recycled plastic products for years, Whitsunday Regional Council have now purchased more than 70 Premier Settings to be distributed throughout their council area. 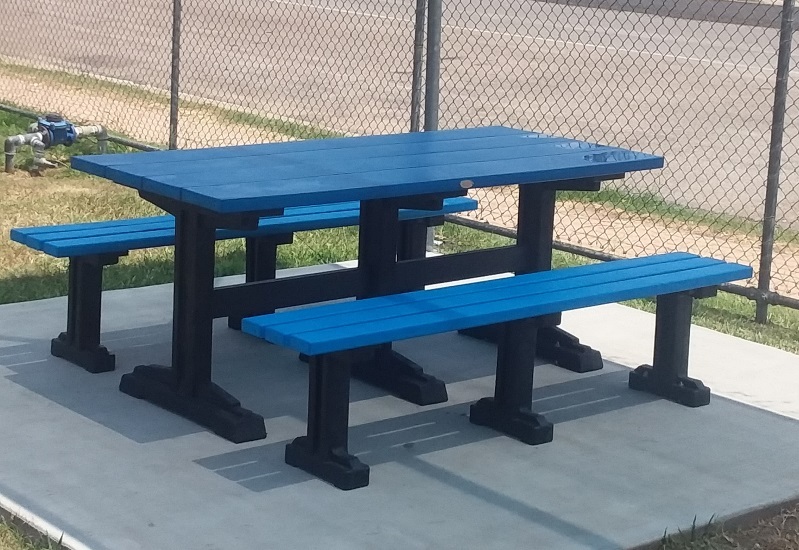 The vibrant blue colour is similar to the ‘Whitsunday Blue’, and the sturdy nature of the material makes this furniture perfect for the harsher conditions in North Queensland. Replas Premier Settings offer greater legroom due to the clever design of the bench and table supports. The use of galvanised steel frames means that only two posts are required to support the benches and table. This setting comes in a range of slat widths and can be adapted to allow wheelchair access. 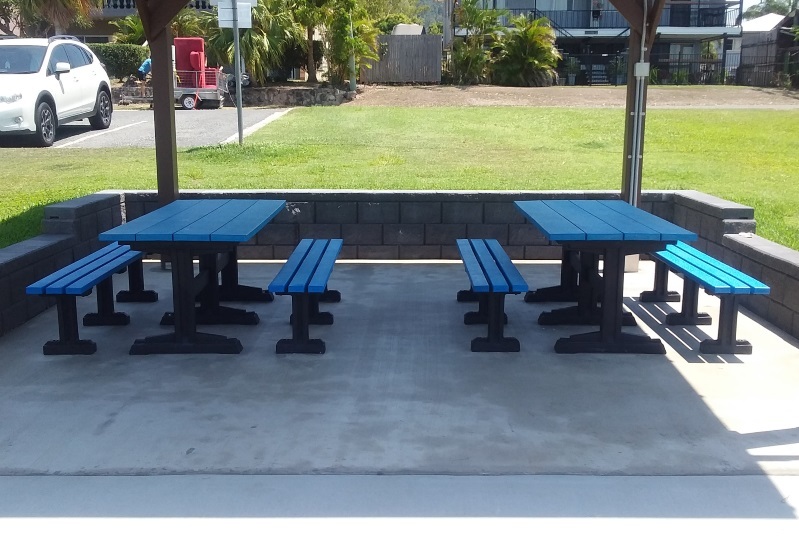 These termite free, low maintenance recycled plastic Premier Settings from Replas will give Whitsunday Regional Council durable, long lasting products for years to come.